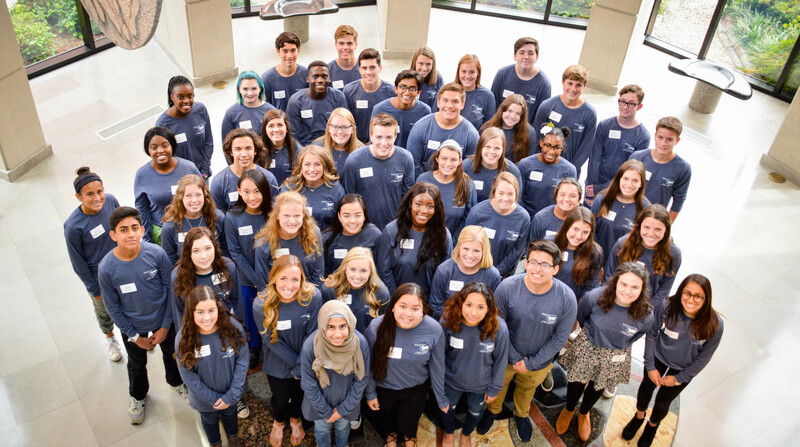 The Oklahoma Medical Research Foundation has announced its sixth annual Teen Leaders in Philanthropy class. The 2018-19 class includes 50 teenagers from 28 high schools across the Sooner State. Five members from last year’s class will return to serve in an advisory council capacity. Selected students will visit OMRF’s Oklahoma City campus monthly throughout the 2018-19 school year to meet with philanthropic leaders, study the functions of nonprofit organizations, and learn the impact charitable giving makes on a community. The teens will work on team-building and fundraising projects designed to instill them with the knowledge and skills required for philanthropy, development, networking, fundraising and board service. Past Teen Leaders classes have worked together to create, organize and operate community events to raise funds for research at OMRF.